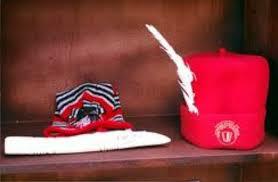 A religious group, “Rooted in The Word Ministries’’, has urged South East governors to review and enforce the Eastern Nigeria Law of 1956 abolishing the Osu caste system in Igboland. The leader of the group, Bishop Emeritus of Isuikwuato/Umunneochi Anglican Communion, Rt. Revd. Samuel Chukuka, made the call at an interactive session with newsmen on Wednesday in Awka. He said that the group had formally written to the governors and Speakers of the affected state legislatures to act. Chukuka said that the law was passed by the Eastern Nigeria House of Assembly in 1956, banning such obnoxious and discriminatory system in Igboland. He said, “Our government abolished this caste officially since 1956 and put it into law. We want this law to be reviewed and enforced. “This law had remained latent, waiting for people like you to come into leadership. “We, therefore, earnestly request that you please use your good offices to re-activate and enforce this 1956 law of liberation. “Your call into the leadership in our modern Igbo race, we believe, is not by accident, it is divine; it is a calling of God. He said that a research had revealed that Osu was traceable to the traditional gods where one was forced or dedicated to gods to become sole property of that idol. Consequently, it came to be that it was prisoners of war, slaves or kidnapped people that were dedicated to the gods to appease them or seek their favour for the community. According to him, generations who know nothing about such cultural and idolatrous practices were today suffering from the stigma; whether their forefathers willingly or unwillingly became Osu. He said, “It is wicked and very unfortunate. Moreover, the Osu caste system is antiquated and has therefore been outlawed since in 1956. “We make bold to say with deep disappointment that this practice is a challenge to our enlightened society – the educated, the travelled and the Church as a whole. The bishop said that the “Whiteman’’ fought against slavery and the forefathers were liberated. He said, “Early Christians (still the Whites) fought against killing of twins. Today, many twins who would have been killed are making their marks in the society.